Following feedback on the current arrangements, we have been researching alternative venues for the East Sussex Area Meeting. Also, due to other commitments, we're going to trial a change in meeting day to the second Wednesday of the month. As a trial, our next meeting will be held on WEDNESDAY 13th February from 7.30pm at the Yew Tree Inn, Chalvington (just off the A22 not far from the Boship roundabout). 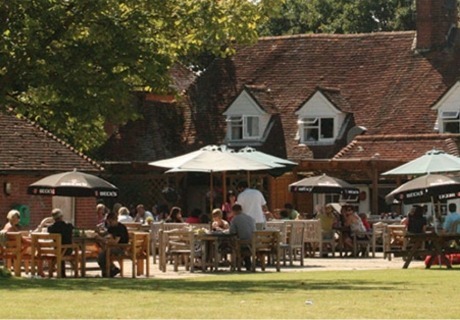 The pub hosts meetings of the A35 and Jaguar owners clubs, and has a large mown grass field to park on in the summer, with great outdoor terrace next to it, and a marquee in the summer for extra shelter. During the winter we can have the use of a dedicated section of the bar, or the conservatory if preferred. The food is good quality and reasonably priced, and if we become regulars they may be able to offer us a special deal; and I’m informed they have an interesting range of beers. If you’ve not been to a meeting before it would be really good to see you, so please do take this opportunity to come along. Traditionally very few people come in their sevens at this time of year so tintops are fine, and most people eat at the pub, although it certainly isn’t compulsory! So, as this will be a departure from our normal arrangements, please can anyone who plans to come let me know so I can give them an idea of numbers. Any feedback on the venue or day is always appreciated.